If you were to view Leisure Space, Juan Logans exhibition at the Harvey B. Gantt Center for African-American Arts+Culture, with no wall text, no titles, no clue as to what the work is about, you might be puzzled, but you would still be moved. These map-like, mixed media works on panel  characterized by dense areas of color, evocative use of collage elements and a rich, symbolic language  may not be fully decipherable without some guidance, but they have a beauty and depth that evokes emotion and catharsis. "Lincoln Beach" (2008). All images courtesy of Juan Logan. However, it is imperative to know that Leisure Space, is about something, and that something is important to think about  our countrys historic black beaches, places where African-Americans were allowed to congregate during the Jim Crow era. 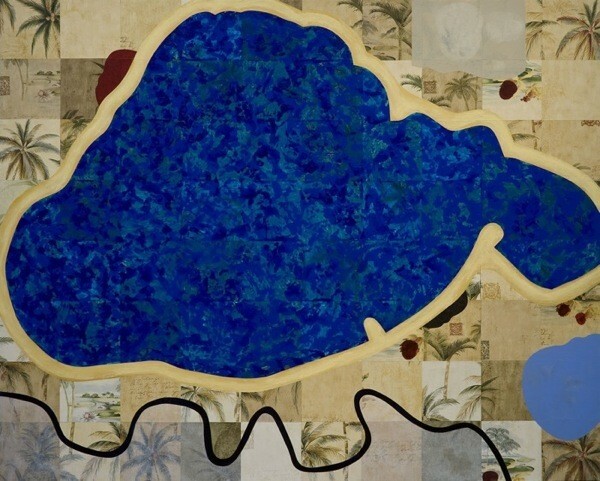 A thoughtful catalogue essay by Andrew W. Kahrl details the history and the outrage that inspired these forceful paintings. It provides the backstory to the unease combined with sheer aesthetic pleasure one experiences in viewing Leisure Space. 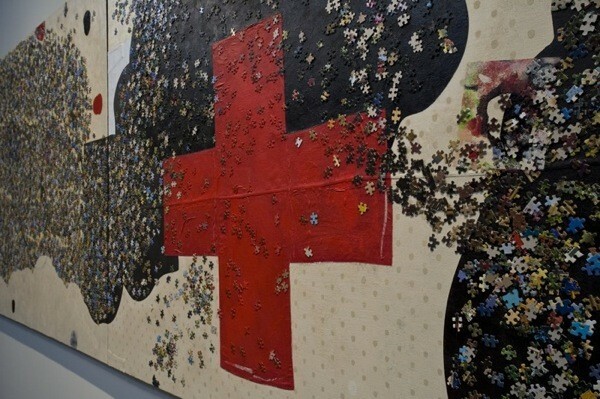 Works range from the imposing Help Me, Save Me, Love Me  in which thousands of puzzle pieces represent the scattering of New Orleans African-American population in the aftermath of Hurricane Katrina  to the quiet, chilling I Almost Didnt See You  a monochromatic work in which figures are rendered invisible and silent. The pieces in Leisure Space seem to have aspects both somber and uplifting, condemning the circumstances that created black beaches, but honoring the solidarity they fostered. Most art worth looking at generates more questions than answers, and Logans is no exception. On March 20, 1 p.m., you can meet Logan, hear him discuss his work and ask some of those questions. For details, visit www.ganttcenter.org or call 704-547-3700.